I’m lucky. My job takes me to museums all over the UK. I have plenty of opportunities to talk to staff and volunteers about their museums and the future of the museums sector. But it’s rare that I get the chance to spend more than an afternoon in any single museum, so it was a real luxury to spend a whole week working at National Museums Scotland in November. Over the course of five days, I met curators conducting ground-breaking research using natural history collections; witnessed state-of-the-art collections conservation and photography in the museum’s studios; and helped to conduct collections audits and prepare the movement of fragile collections from the National Museums Collection Centre in Granton to the National Museum of Scotland in Chambers Street. I also spent a day at Fife Cultural Trust – a partner with National Museums Scotland in the Ancient Egypt and East Asia National Programme, a Scotland-wide project to examine collections of East Asian and Egyptian material – where I encountered a rich collection being given new life by dedicated staff. 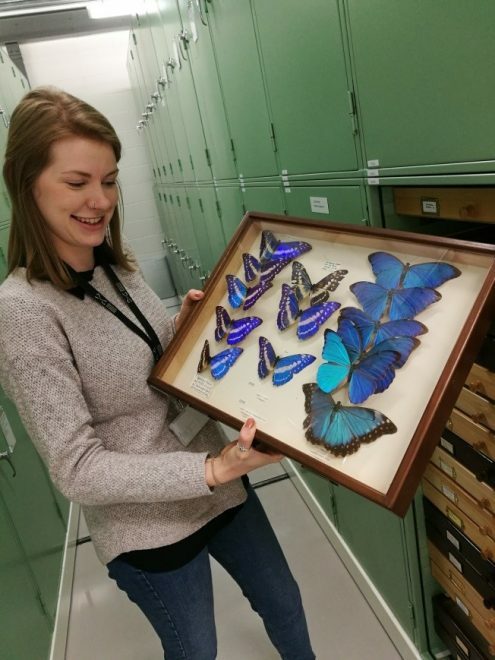 Ashleigh Whiffin, Assistant Curator of Entomology showing me round the Natural Sciences stores at the National Museums Collection Centre. This opportunity arose thanks to a project that I’m currently working on at the Museums Association called Collections 2030, which is looking at how museums will prioritise their work with public collections over the next decade. What are the big projects in the years to come? Should museums concentrate on reducing their huge collections to a more manageable size? Should they be concentrating on making their collections better known to a more diverse audience? These are some of the issues that I’m interested in. Natural Sciences collections at the National Museums Collection Centre. At National Museums Scotland I encountered a great deal of cutting-edge practice that chimes with the Collections 2030 project. 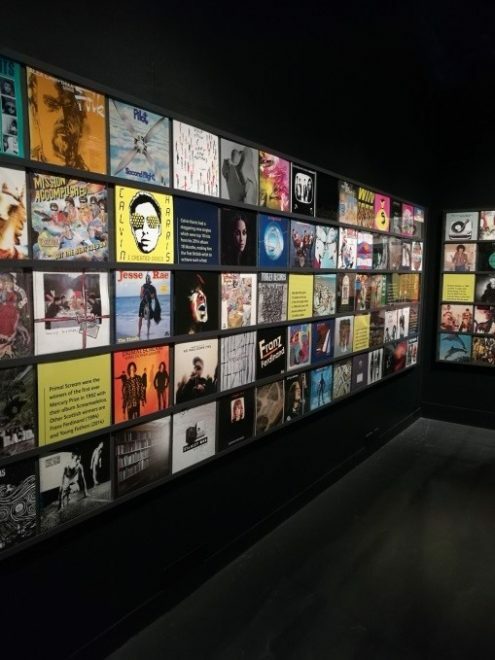 In the Rip It Up exhibition I saw how a collection can be truly empowering – hundreds of visitors were enjoying the story of Scottish pop music, and some, hopefully, were inspired to be the new generation of Scottish musicians. I saw how the museum is working to make its collection relevant to a new generation by using historic Scottish material in a forthcoming exhibition that will also raise questions about Scottish identity today. And I saw how the collections are being kept up to date, with contemporary collecting adding new elements. Rip It Up exhibition at the National Museum of Scotland. 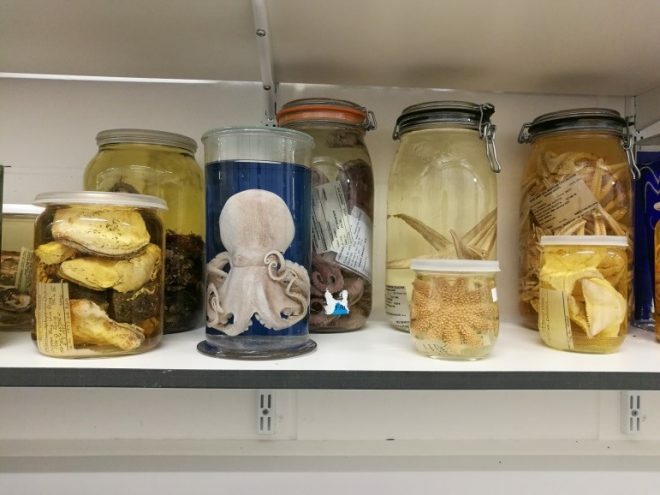 Public collections like those at National Museums Scotland are a hugely valuable resource – and it’s up to museum staff and volunteers to make the most of them. By the end of my week in Edinburgh it was clear to me how much energy and passion goes into this task – and how important it is for our Collections 2030 project to share some of this with museums across the UK. Greetings friends and followers of the Center for the Future of Museums! I’m Neal Stimler, Digital Asset Specialist at The Metropolitan Museum of Art in New York City. At the Metropolitan Museum of Art, I forecast trends, lead digitization efforts and manage special initiatives. I also explore wearable technologies like Google Glass and the Moto360 smartwatch. I’m especially interested to study how museum collections and content are experienced with wearable technologies as well as how wearables can improve customer service for museum constituents. True, Museum collection plays a vital role in educating the guests & the employees likewise of the possible benefits of the museum articles.